Coming in slightly larger than the 75 Sunseeker is the 82 Sunseeker Predator. 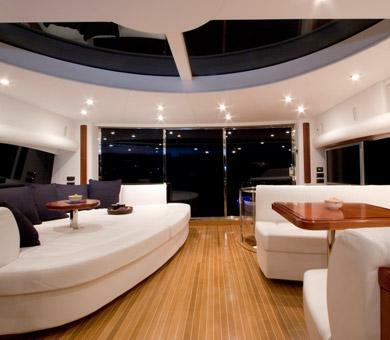 This luxury yacht embraces modern design cues for an aesthetically smart appeal. 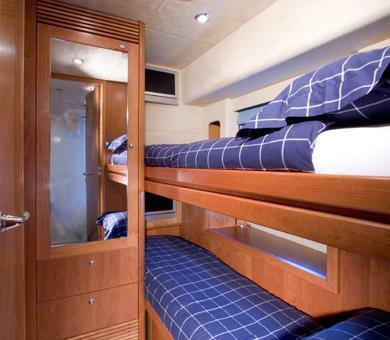 This luxury yacht charter is ideal for slightly larger groups, as it features four cabins-2 double and 2 twin accommodations. 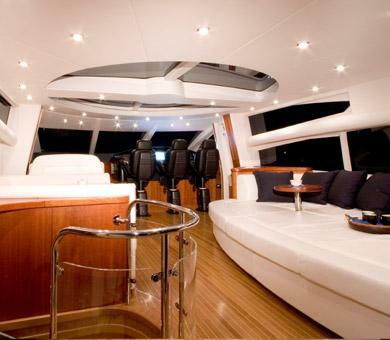 Entertaining your guests is effortless onboard the Sunseeker Predator. If they happen to tire of the endless and inspiring views of the marbled Atlantic Ocean, this luxury yacht is fitted with the latest and greatest in entertainment equipment. It is literally a floating oasis, with a lounging sofa for eight, and an expertly designed floor plan. Cruising speed for the 82 Predator is around 28 knots, with a max speed of 34 knots. 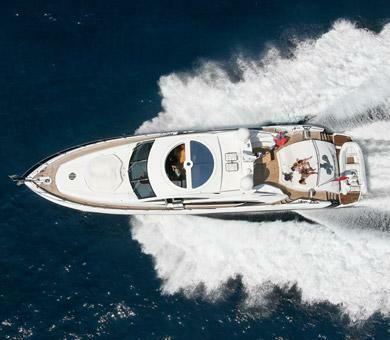 As with any Sunseeker yacht, it is carefully engineered to ensure a smooth ride every time. A smooth ride is important when you are soaking in the views and relaxing away the real world. An added advantage to indulging in the 82 Sunseeker is the off-road buggy located in the garage below deck. This is an ingenious advantage when you are at port, as you are spared the waiting time for cabs, and can simply disembark on whatever journey you please-on your own time. 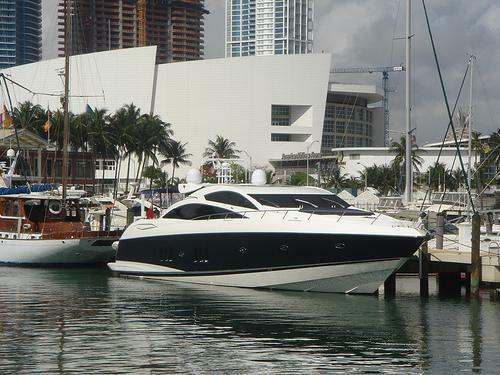 If you are searching for the right luxury yacht charter for your group of 8 or less, ask us about the advantages of the 82 Sunseeker Predator rental in Miami and South Florida, New York, Chicago, and LA and get your free quote. What are you waiting for? 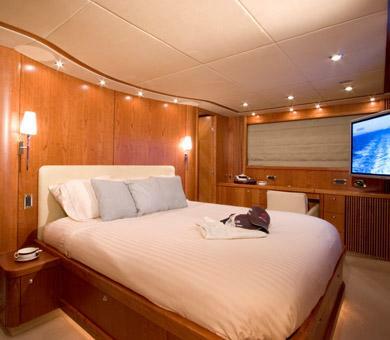 Picture yourself at total ease on the seas onboard this exotic yacht!